Babies just LOVE our buddy blankets, so your best bet is to buy them by the bunch! 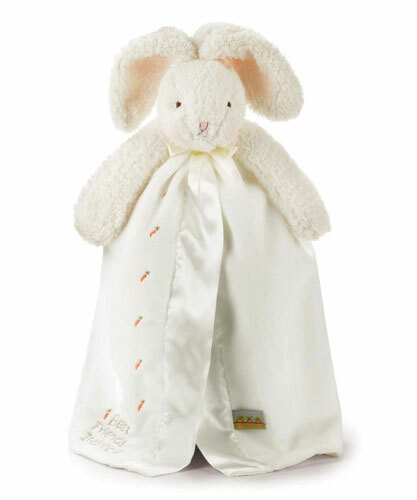 Plush floppy eared bunny has snuggly soft white velour blanket lined and edged in silky satin. 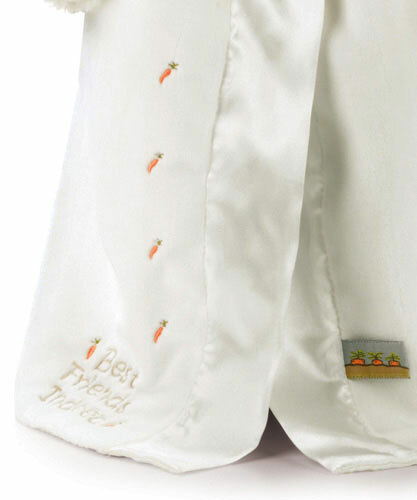 Embroidered message reads, ¡§Best Friends Indeed". Washes beautifully, machine wash cold. Tumble dry NO heat.